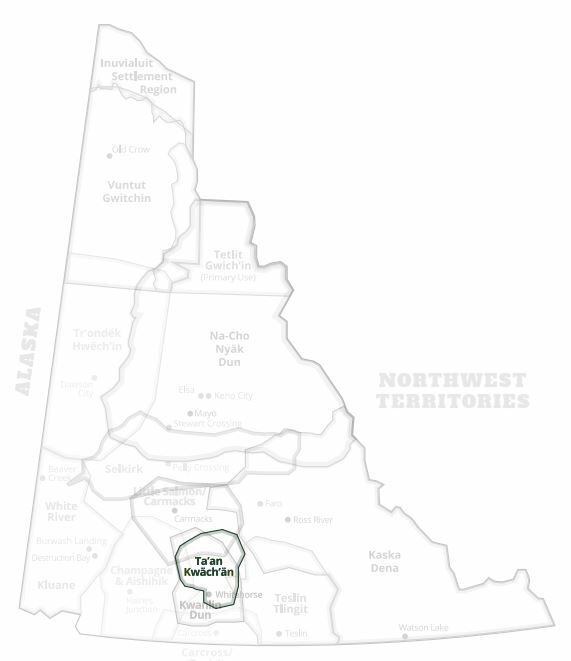 The Ta’an Kwach’an Council is one of the Yukon First Nations who possesses proof of their long-standing land claim with the Federal Government. Chief Jim Boss with the aid of a lawyer, wrote a letter to the Superintendent General of Indian Affairs in Ottawa in 1902, claiming that Yukon First Nations were in need of a settlement because of the loss of lands and depletion of game with the gold rush and subsequent settlement by outsiders. At the time, the Ta’an were granted a small reserve in their traditional territory at Lake Leberge. Jim Boss’ vision finally culminated in the beginning of negotiations many decades later in 1973. 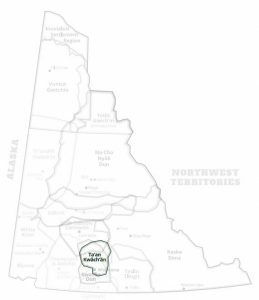 With the arrival of the Department of Indian Affairs, the Ta’an Kwach’an Council membership was included in the Whitehorse Indian Band, a band which consisted of all First Nations people residing within the Whitehorse general area. It was not until 1998 that the First Nation finally regained their independence and became a recognized Indian band under the Department of Indian Affairs. Since that time the Ta’an Kwach’an have been actively involved in negotiating their land claim and are currently very close to reaching a settlement. The Ta’an have adopted a traditional kind of leadership, choosing a hereditary Chief and governing the First Nation through a family/clan system. On January 13th, 2002, the Ta’an Kwach’an Council entered in to an agreement with her majesty the queen in right of Canada and the Government of Yukon, which recognizes and affirms the inherit right of the Ta’an Kwach’an Council to govern itself and it’s lands.